Health officials are defending when they decided to release information about an outbreak of tuberculosis in Nain, N.L., after a CBC News investigation found that months passed before they publicly acknowledged the scope of the issue in Labrador. Health officials are defending when they decided to release information about an outbreak of tuberculosis in Nain, N.L., after a CBC News investigation found that months passed before they publicly acknowledged the scope of the issue in the remote northern Labrador community. Now, some people in Nain are wondering why they weren't provided with more information during the earlier stages of the outbreak. 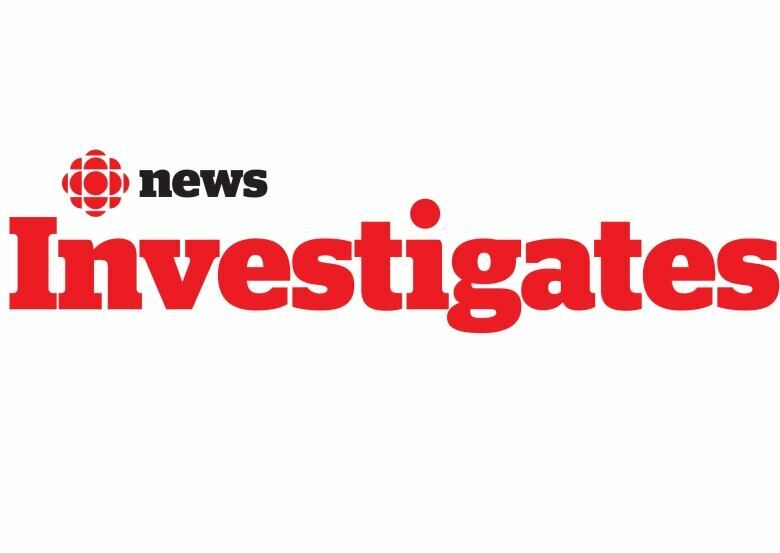 CBC News first broke word of the outbreak in May, after citizens asked the public broadcaster to find out more information about what was going on in the community. 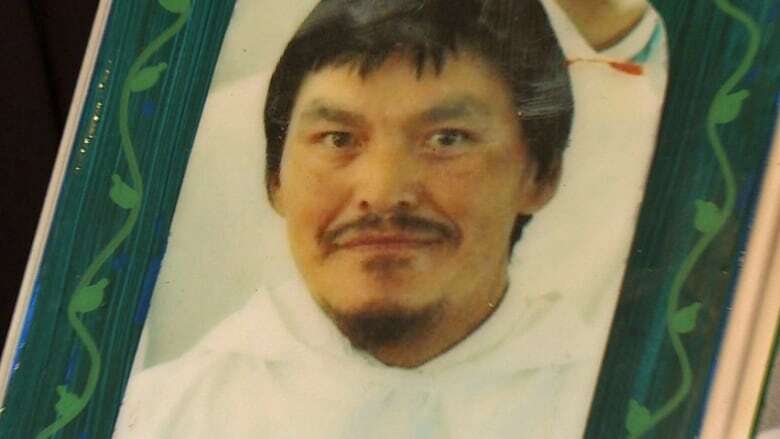 Internal Labrador-Grenfell Health records, obtained through an access-to-information request, show that officials were describing the Nain situation as an "outbreak" in early February, more than three months earlier. It's not clear when — or whether — health officials would have widely released information about the outbreak if they weren't questioned by the CBC. 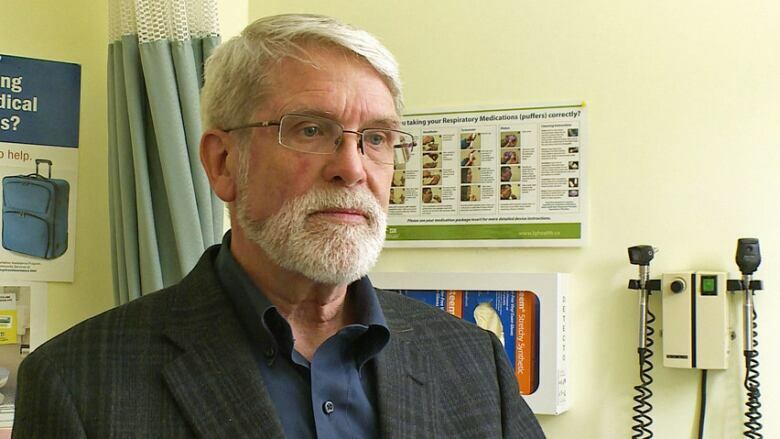 Labrador-Grenfell Health and the Department of Health and Community Services steered questions to the province's chief medical officer of health, Dr. David Allison. 'This was not an outbreak that was raging untended,' Dr. David Allison, chief medical officer of health for the Newfoundland and Labrador Department of Health and Community Services, says about the TB outbreak. (CBC)Allison told CBC News that officials were concentrating on working to identify more potential TB cases, contacting hundreds of people who might have been at risk. "The fact is that this was not an outbreak that was raging untended," he said in an interview. "There was an awful lot of work going into connecting with cases, connecting with contacts, and an awful lot of people being followed up as contacts." Allison says health officials assess each outbreak on a case-by-case basis. "It always depends on the circumstances of the event how much information we can or are maybe willing to share," he said. "I think perhaps we could have shared more information earlier, but by the same token, this was confined to a specific community and we have a very good feel for who the contacts of the cases are." Allison said it's also important to balance issues of stigma and alarm when deciding how to communicate outbreaks like this one. 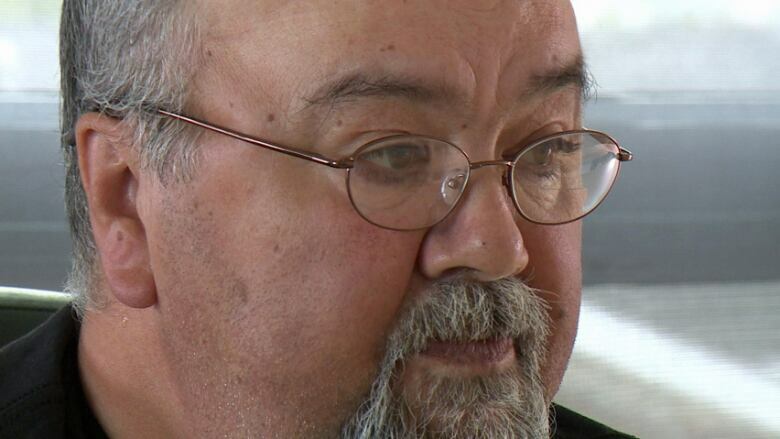 But Joe Dicker — the AngajukKaK, or mayor, of Nain — says more should have been done to let people in the town know what was happening. "I think in a small community that if there is what they classify as an outbreak, the community has a right to know," Dicker said. Nain AngajukKak Joe Dicker. (CBC)"And they should have done a better job communicating with the leaders." According to Dicker, the questions began in earnest after the May CBC News story about the outbreak. "And we couldn't answer them, because we didn't know." But Allison stressed that health officials were "putting every effort into making sure that people on the ground in the community were talking to cases, talking to contacts, and making sure that information was available." Asked about the mayor's concerns, Allison said: "I don't have a response for that." Gordon and Silpa Obed also have questions. Their son, Gordon Junior, died of tuberculosis in April. It wasn't diagnosed until after his death. He was 39. Gordon Obed Junior died of tuberculosis in April at age 39. (CBC)"I didn't know what to think," Silpa Obed said. "Because. There's too much... there's a lot on my mind, and I say 'Why, why, why?' I just keep saying 'why?'" The family still has questions about the handling of their son's case — most significantly, whether doctors could have found out sooner that he had TB, and whether that would have made a difference in the end. "My main question is: Could there have been something done earlier, like say, in January," Gordon Obed said. "Could they have done something to try to find out what was wrong with him?" CBC News obtained hundreds of pages of Labrador-Grenfell Health documents and correspondence dealing with the TB situation in Nain, using access to information. Those records reveal that the first TB outbreak meeting was held on Feb. 2. Nain is the northernmost permanent community in Newfoundland and Labrador, and settled predominantly by the Inuit aboriginal peoples. (Google Maps)At that time, the meeting minutes note six cases of TB had been reported in Labrador-Grenfell Health between October and the end of January. Behind the scenes, the documents show, health officials were working to deal with the problem, doing contact tracing work and deciding to reinstate the public health nurse at cough clinics in Nain. They also made other decisions, which are blacked out in the documents provided to CBC News. But there is no record of health officials releasing any information about the outbreak until mid-March, roughly six weeks later. After receiving a request for information from the local Inuktitut and English language radio station in Nain, health officials sent them a statement noting there had been a "cluster of individuals" identified with TB. The statement also provided background on the disease. It was posted on the OK Radio website on March 16. Within the next week, work was underway to prepare a briefing note for the minister of health, in case any questions about the Nain situation were raised in House of Assembly on World TB Day, March 24. But the questions never came, so the minister never provided the information at the time. In fact, health officials didn't speak publicly about the outbreak until May. 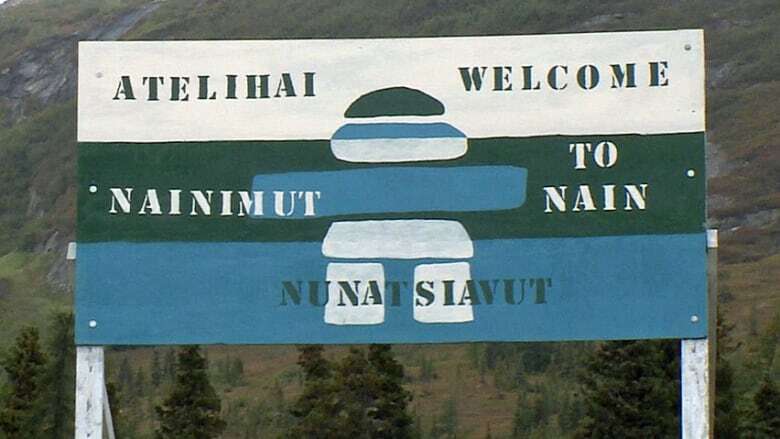 Nain, located on the northern Labrador coast, has a population of 1,185, according to the 2011 census. 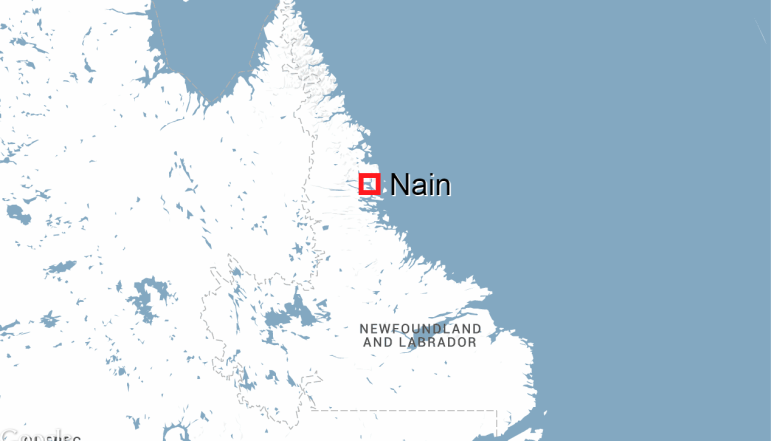 (CBC)At that time, two Nain residents asked a CBC reporter to try to find out about what was going on in the town, because people there were scared. On May 14, in response to CBC inquiries, health officials revealed that there were 14 cases of TB in Nain, with a total of 16 reported in the Labrador-Grenfell Health region. That number is now 23 in Nain for the past year. The town has a population of 1,185, according to the 2011 census. That equates to one in just over 50 residents diagnosed with TB. There haven't been any new cases of tuberculosis in Nain since August. Canadian and U.S. guidelines stress the importance of disclosing information during tuberculosis outbreaks. Dr. Elizabeth Rea, an associate medical officer of health with the TB program at Toronto Public Health, says every case is unique. 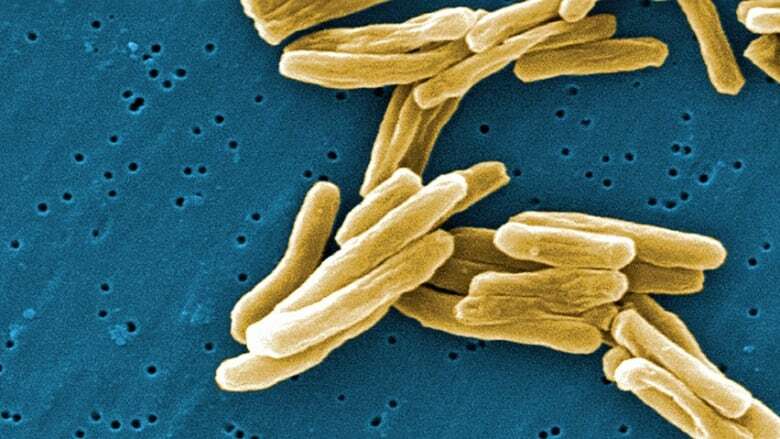 Mycobacterium tuberculosis (TB) bacteria shown in a high magnification scanning electron micrograph image. (Canadian Press)"At some point you do need to reach out to the broader community," Rea said. "At the same time, in the very early days of dealing with the outbreak, the first few weeks, or sometimes months, remember you're also trying to find and talk with hundreds of contacts and get them looped into medical care in a very unusual way, so there's a lot of stuff having to happen. So it's really difficult to make a general comment. But yes, absolutely at some point you do need to get to the point where you're doing proactive communication." Public education efforts do seem to have ramped up in Nain about the same time CBC News started asking about the outbreak in May. Labrador-Grenfell Health and the Nunatsiavut government started printing flyers, putting handouts in mailboxes, and holding public meetings. Due to an editing error, an earlier headline on this story said "Labrador TB outbreak left 'raging untended' for months, critics say." In fact, the province's chief medical officer of health Dr. David Allison said "the fact is that this was not an outbreak that was raging untended."